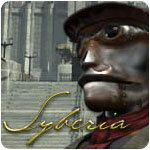 Syberia - Part 2 Game - Download and Play Free Version! Can You Help Kate Solve the Mystery? In Syberia Part 2, it's up to you to help Kate Walker continue her magical journey in the mythical world of Syberia. In this third-person adventure game, you will experience stunning scenery and solve interesting puzzles. You will also encounter many obstacles along the way. Can you help Kate get closer to solving the mystery? Even if you have not played the original game, an informative recap at the beginning of this game will fill you in on everything that happened during Syberia Part 1. After locating Hans Voralberg, Kate has decided to leave behind her life as an attorney in New York and travel with Hans to the wintery landscape of Syberia. Once there, she hopes to help Hans locate an ancient race of prehistoric wooly mammoths that are believed to exist in the legendary realm of Syberia. In addition to dealing with Hans' deteriorating health, Kate will also encounter villains that have been sent to bring her back home to New York. 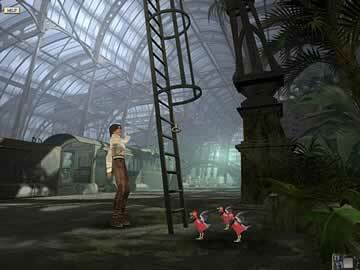 As you travel through four locations on the way to Syberia, you will lead Kate on her further adventures as she helps Hans pursue a lifelong dream. As you continue Kate's journey through the unknown, you will travel through many stunning locations. These environments are beautifully rendered and help to further immerse you into the adventure of Kate and Hans. Over the course of the game, you can expect to travel through the Russian wilderness, remove villages, caves and mountaintops. 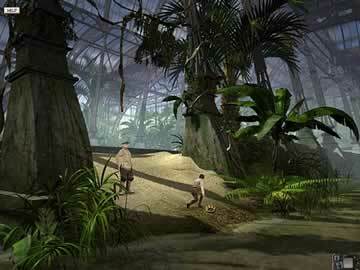 Syberia Part 2 features superior voice acting that keeps you engaged in the game from beginning to end. With most conversations you have in the game, you can discover clues and other important details that are relevant to the journey and the mystery that Kate is attempting to uncover. In many cases, this requires you to use every conversation topic that is available for you to choose from. Rather than being tedious and boring, listening to the conversations between Kate and the other characters is both pleasant and engrossing. In addition to conversing with other characters and watching thrilling cut scenes, puzzle solving is a highly enjoyable aspect of Syberia Part 2. While some seem fairly straightforward and are perfect for beginners, others are increasingly difficult and challenge you to come up with the solution. The more challenging puzzles will certainly offer you a sense of accomplishment after arriving at the solution!